Former President of Desjardins Goup, Chair of the Board of Investissement Québec and Vice-Chairman of Fiera Holdings Inc.
Kerry Adler is the President and Chief Executive Officer of SkyPower, one of the largest and most successful developers and owners of utility-scale solar photovoltaic (PV) energy projects in the world. As a pioneer of renewable energy initiatives in North America, Kerry continues to be a leading proponent and public champion of solar energy and its potential to help address climate change and poverty around the world. Prior to SkyPower, Kerry was the Founder, President and CEO of Webhelp Worldwide, an international BPO solutions group, which today has grown to over 40,000 employees with revenue approaching USD 1 billion. Kerry is an active board member, advisor and investor to numerous companies in emerging technology, infrastructure and innovative sectors as well as a sought after industry expert and speaker. His continued commitment to protecting and conserving the environment was honored by the United Nations Global Compact as the 2016/2017 SDG Pioneer for Climate Action. Kerry was also named Solar Advocate of the Year by the Canadian Solar Industries Association and he earned the Clean50 Executive Award for his outstanding contribution to sustainable development and clean capitalism. Kerry was educated in the United States and Canada, attending the Massachusetts Institute of Technology (MIT), Bryant and Concordia Universities, where he received Honors in the field of Economics. 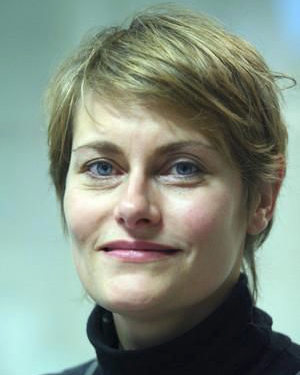 Geraldine Amiel, 46, is Bloomberg News Paris bureau chief since September 2014. She joined after eight years as The Wall Street Journal/Dow Jones Newswires News Editor for its Paris bureau, where she also covered the energy industry. 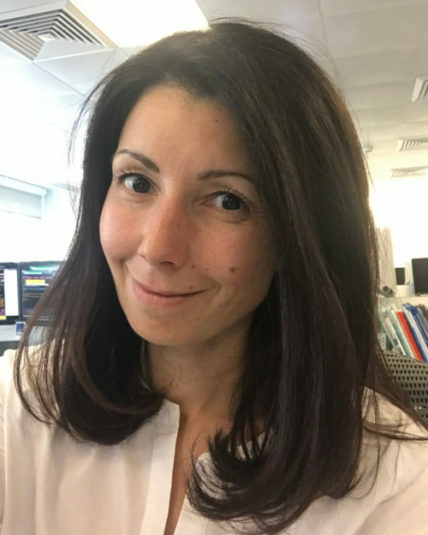 Prior to that, Geraldine was briefly CNCB's Paris correspondent after eight years at Agence France-Presse as deputy chief of the Economics department in Paris and various jobs in New York and London. 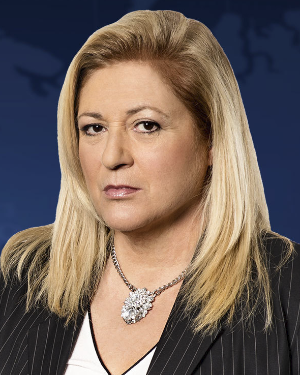 Geraldine holds a Master Degree in International Law and European Law from Assas-Paris II university and graduated from the Centre de Formation des Journalistes, one of France's top journalism schools. Geraldine is fluent in French (native) and English, speaks and reads German and Spanish and can manage a little bit of Italian. She's also an alumnus of Die Zeit/Bucerius Foundation, a think-tank based in Hamburg and focused on foreign affairs and diplomacy. Mr. Audet has been President and Chief Executive Officer of Cogeco Inc. and Cogeco Communications Inc. since 1993. 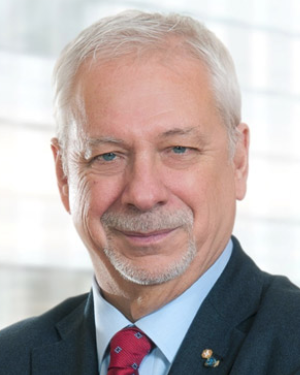 He joined Cogeco in 1981, occupying several positions including Vice President, Marketing and Development, Executive Vice President, as well as President and Chief Operating Officer. He has led the drive at Cogeco to establish the company as a leader in the telecommunications sector. 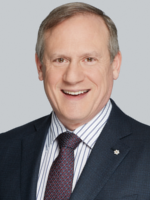 He is a member of the Boards of Directors of Cogeco Inc. and Cogeco Communications Inc., and is chair of each of their respective Strategic Opportunities Committee. He is a member of the Board of Directors of CableLabs. He previously sat on the Boards of Directors of the Canadian Cable Telecommunications Association, Clarica Life Insurance company, the Orchestre symphonique de Montréal, the Collège Jean-de-Brébeuf, the Corporation de l'École Polytechnique de Montréal, the Canadian Association of Broadcasters, the Association canadienne de la radio et de la télévision de langue française, and served as Governor of the Council on Canadian Unity. He was also Chairman of the Collège Jean-de-Brébeuf Development Fund. He has been involved in several major fund-raising campaigns for charitable causes and was a member of the campaign cabinet of the Foundation Centre Hospitalier de l’Université de Montréal (CHUM) (2012-2014). He was co-Chair of the 2017 campaign for Centraide of Greater Montreal. He was Chair of the major fundraising campaign (2014-2016) for the Old Brewery Mission Foundation, a well-known foundation which provides emergency and other services for homeless people in the Montréal area. 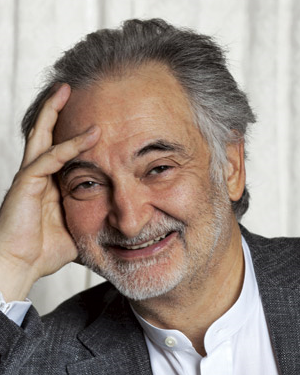 He was named Member of the Order of Canada in 2013. He was inducted, in 2012, into the Club des entrepreneurs du Conseil du patronat du Québec. He was awarded the Order of Merit of the Université de Montréal Alumni Association in 2010, as well as the Merit Award of the École Polytechnique Alumni Association in 2008. John M. Beck is founder and President and Chief Executive Officer of Aecon Group Inc. (TSX: ARE), Canada’s premier construction and infrastructure development company. A leader in providing services to private and public sector clients throughout Canada and internationally, Aecon primarily serves the Infrastructure, Energy and Mining sectors. A graduate in Civil Engineering from McGill University, Mr. Beck has more than 50 years of experience in the construction industry in Canada and internationally. His background includes corporate leadership in numerous construction activities including heavy civil projects and public-private partnerships for the development of infrastructure, such as airports, toll roads and transit systems. 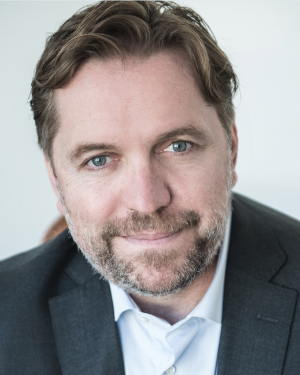 Mr. Beck is currently a member of the Board of Directors of PPP Canada, the Ontario Financing Authority, the Royal Conservatory of Music as well as Co-Chair of the Infrastructure & Urban Development Industries at the World Economic Forum. He is a member of the Advisory Council for the School of Public Policy at the University of Calgary and is also a member of the Business Council of Canada. He was previously Chairman of the Board of the Ontario Power Authority, a government agency with responsibility for planning and procuring all of the province’s power needs for the next 20 years. He was named P3 Champion of the Year by the Canadian Council of Public Private Partnerships in 2013. In recognition of his distinguished achievements and career-long service to the engineering profession, Mr. Beck was inducted as a Fellow into the Canadian Academy of Engineering. 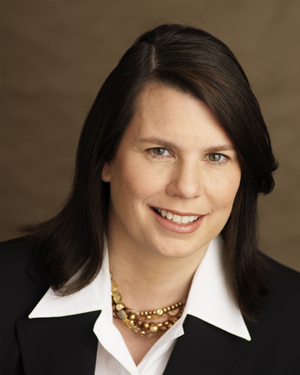 Jane is currently the Chief Executive Officer at PAAMCO. As CEO, Jane is responsible for overall business strategy and firm direction. She began her career at J.P. Morgan Investment Management in the Capital Markets Group. She has also been an Assistant Professor of Finance at the Amos Tuck School of Business at Dartmouth. 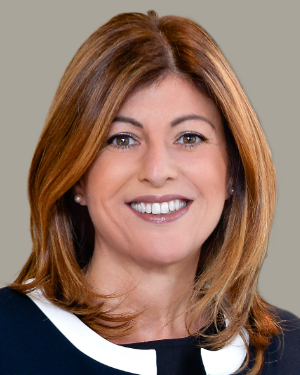 She is currently serving as Director and Chairwoman of the Board for the Chartered Alternative Investment Analyst Association (CAIA). She also serves as a member of the Board of Directors for the Torchmark Corporation (NYSE: TMK) and AGF Management Limited (TSX: AGF-B-T). Jane is a guest on CNBC and Bloomberg television as well as a regular contributor to both the business and investment press. She participates in many industry conferences as a moderator, panelist and keynote speaker. 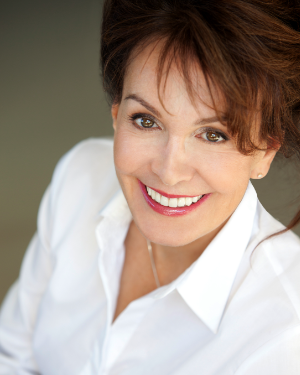 Jane holds both a PhD and an MA in Business Economics (Finance) from Harvard University. She earned a BA in Economics from Yale University. Jane and her husband, Jim Driscoll, reside in Newport Coast, California. PAAMCO is a leading institutional investment firm dedicated to offering alternative investment solutions to the world's preeminent investors. Since its founding in 2000, PAAMCO has focused on investing on behalf of its clients while striving to raise the standard for industry-wide best practices. Constance Chalchat is Head of CIB Change Management and a member of the CIB Executive Committee. Constance joined BNP Paribas in 2001 as Head of Equity Derivatives Strategic Marketing. She then took up the role of Global Head of Transformation, People Development, Marketing & Communication of Equity Derivatives, before moving into her current position in October 2014. 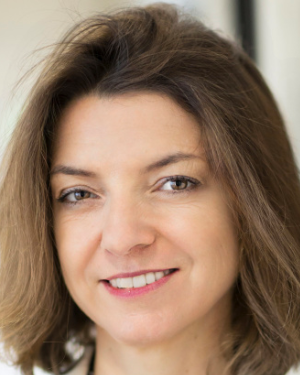 Before BNP Paribas, Constance spent three years at Deloitte Consulting in charge of Marketing Strategy assignments in Europe and South America. Prior to that, she worked in a range of Strategic Marketing management positions, including stints at Danone in New York and Nike in Europe. Constance graduated with a MBA in Finance in 1993 from the école des Hautes Etudes Commerciales de Paris (HEC). 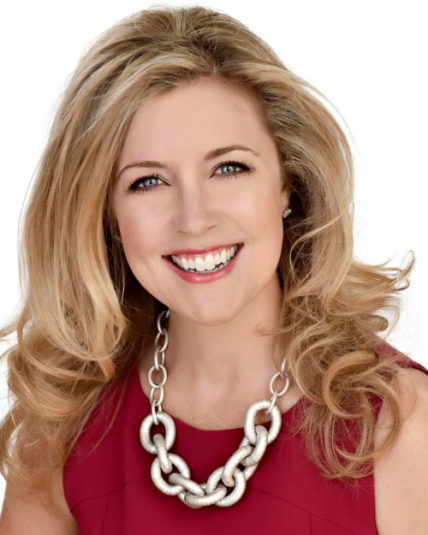 Catherine Clark is a Canadian broadcaster, magazine columnist, blogger, emcee and communications professional. 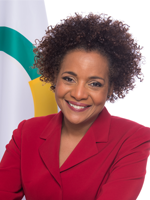 She is host of the live-event public affairs show Before the Bell, was the longtime host of a national television show featuring one-on-one interviews with Canada’s most influential people, and is the host and co-producer of four historical documentaries. 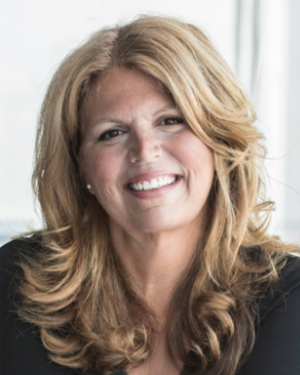 Catherine is a member of the Board of Directors of CARE Canada, Care Kenya and the Community Foundation of Ottawa, serves as Vice Chair of the Board of The Writers Trust of Canada and Co-Chair of the national Politics and the Pen Gala. Famous American liberal economist, born August 14, 1940, Arthur B. Laffer obtained his Ph.D. in Economics from Stanford University in 1972. His fame goes back to the mid-1970s, when he demonstrates that "too much tax kills the tax" with the now famous Laffer curve. In the late '70s, Mr. Laffer is the first economist to advance the possibility of applying this finding to the US tax system. The Laffer curve has influenced a global tax reduction movement since the 1980s. From 1967 to 1976, Mr. Laffer was a member of the Faculty of Economics at the University of Chicago Graduate School of Business and Associate Professor, from 1970 to 1976. From 1970 to 1972, he was the first to hold the title of Chief Economist at the Office of Management and Budget. From 1972 to 1977, Arthur B. Laffer was a consultant to Treasury Secretary William Simon, Defense Secretary Don Rumsfeld and Secretary of the Treasury George Shultz. Mr. Laffer was a senior adviser to the Reagan Administration (1981-1989). More recently, Dr. Laffer advised Donald Trump on his campaign for the presidency of the United States in 2016. Dr. Laffer is the author of several books, including The End of Prosperity, How Higher Taxes Will Doom the Economy, If We Let It Happen, published in 2008, and nominated for the FA Hayek Book Award in 2009. He also wrote Return to Prosperity in 2010 and the New York Times Best Seller An Inquiry into the Nature and Causes of the Wealth of States, and its sequel Wealth of States: More Ways to Enhance Freedom, Opportunity and Growth. 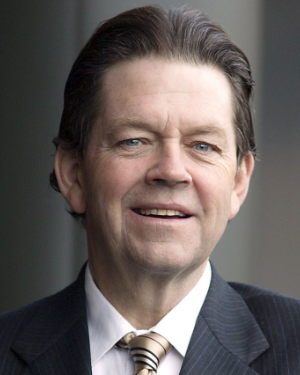 Since 1979, Mr. Arthur B. Laffer has been the founder and chairman of Laffer Associates, a firm specializing in economic research that provides global investment research services to institutional asset managers, pension funds, institutions and companies. Laffer Investments, meanwhile, offers unique investment strategies managed by the portfolio management group of the company. Graduate of the Ecole nationale d’administration (French National School of Administration) (the Léon Gambetta class), Catherine Guillouard began her career at the Ministry of Economy in the French Treasury. 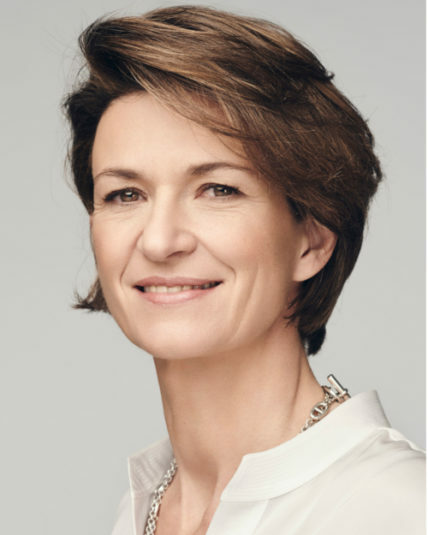 In 1997, she joined Air France where she was notably Senior Vice-President of Flight Operations, Senior Vice-President of Human Resources and Change management and Senior Vice-President of Finance for the Group. 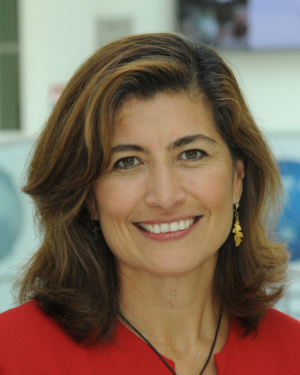 In 2007, Ms. Guillouard joined Eutelsat Communications as Chief Financial Officer and Member of the Group’s Executive Committee. She left this position in 2013 to join Rexel Group as Chief Financial Officer in charge of Finance, Control and Legal Affairs and then Deputy CEO, member of the Executive Board and the Executive Committee. 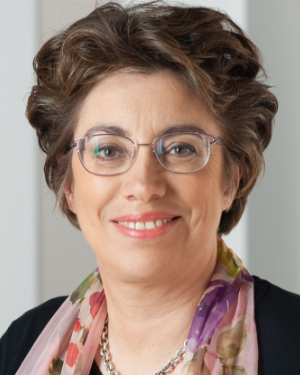 Catherine Guillouard has been a board member at Engie since 2015 and at Airbus since 2016. 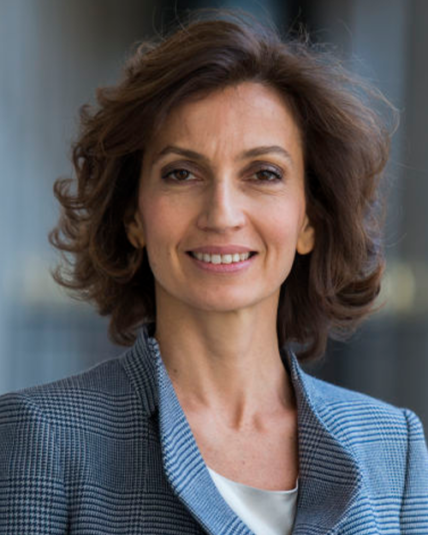 On August 2nd, 2017, Ms. Guillouard was appointed Chairwoman and Chief Executive Officer of RATP Group. 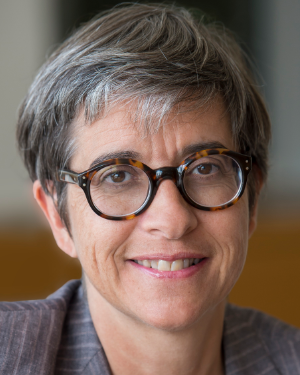 She is also Vice-President of Systra’s supervisory board, the RATP Group and SNCF joint engineering subsidiary. 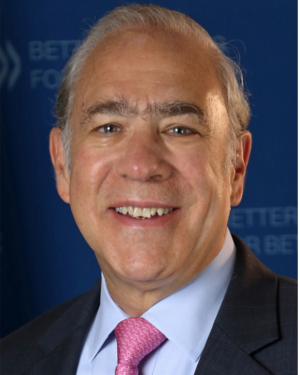 Angel Gurría came to the OECD following a distinguished career in public service that included two ministerial posts. As Mexico’s Minister of Foreign Affairs from December 1994 to January 1998, he made dialogue and consensus-building one of the hallmarks of his approach to global issues. From January 1998 to December 2000, he was Mexico’s Minister of Finance and Public Credit. For the first time in a generation, he steered Mexico’s economy through a change of Administration without a recurrence of the financial crises that had previously dogged such changes. 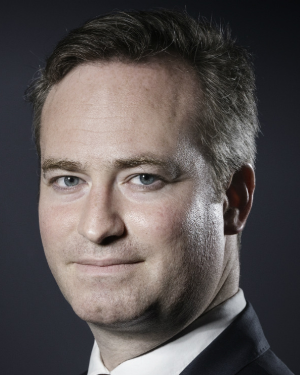 Ben Hall is Europe editor of the Financial Times, where he oversees reporting strategy and a network of correspondents from Lisbon to Moscow. He was previously world news editor (until August 2018), responsible for all foreign news, Europe news editor, Paris correspondent, UK political correspondent, deputy comment editor and a leader writer. 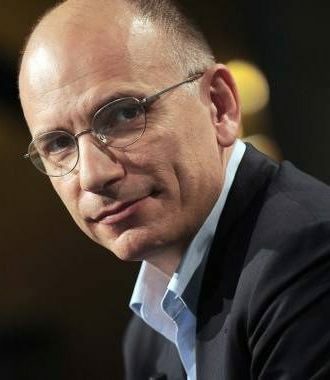 Prior to joining the FT in 2000 he was research director at the Centre for European Reform, a think tank based in London. Mansoor Hamayun is co-founder and Chief Executive Officer of BBOXX, a dynamic young company that designs, manufactures, distributes and finances innovative solar systems to improve access to energy across Africa and the developing world. Since 2010, BBOXX has sold 70,000 solar kits and impacted 350,000 lives across 40 countries. Born in 1988 in Pakistan, he was raised in Sweden and studied Electrical Engineering at Imperial College London. From 2008-2010 he was the founder and leader of a student charity, e.quinox, which brought electricity to 6 villages in Rwanda. 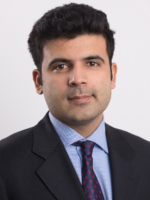 Following university, Mansoor worked as a manager for Rolls-Royce Civil Aviation business, supporting the introduction of Boeing 787 Dreamliner for LAN airlines, working on corporate cost reduction in the Asian region service and overhaul business. As CEO, Mansoor leads BBOXX in all aspects of its business – from its engineering lab in London to its factory in China, to distribution from its 32 local shops in Kenya and Rwanda. 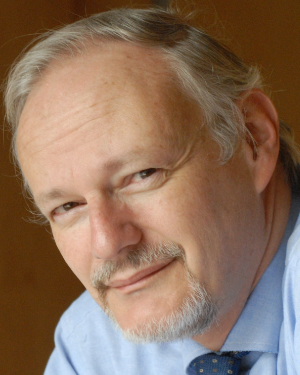 Professor Victor Harison holds a PhD in Mathematical Sciences, University of Antananarivo (1995) and a Certificate in Project Management, University of Pittsburgh (1996). 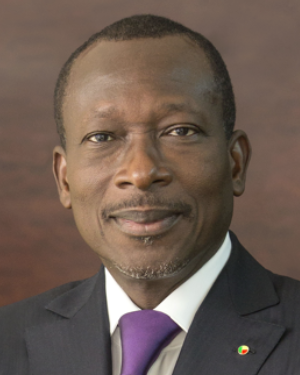 He is currently a commissioner in the Economic Affairs Department of the Commission of the African Union since August 2017. 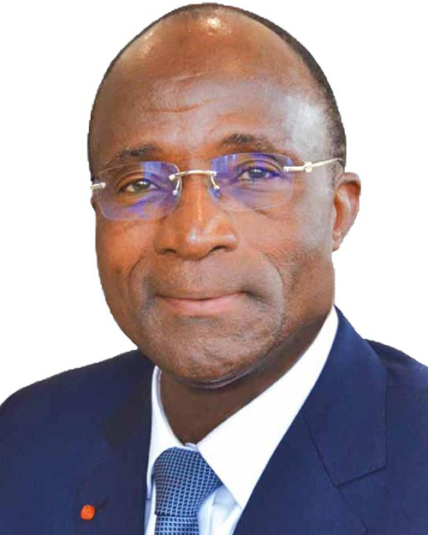 Previously he held the positions of Director General of the National Institute of Accounting and Business Administration (INSCAE) , Antananarivo (1997 - 2017) and Director of Studies and Programming, Ministry of Higher Education and Executive Secretary of the "Human Resources Development" project, administered by the World Bank, Antananarivo (1993-1997). In addition, he was Professor of Mathematics, Leadership and Organizational and Project Management. He also conducts research activities such as Thesis Director in Mathematical Sciences and Management Sciences. 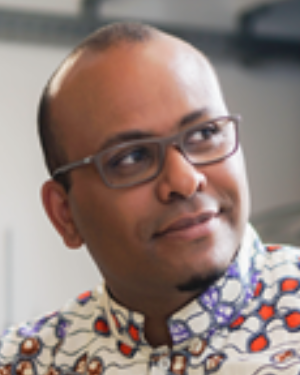 In addition, he is a member of the Mathematical Society of Madagascar, American Mathematical Society, International Conference of Leaders of French Language Training and Research Institutions (CIDEGEF). 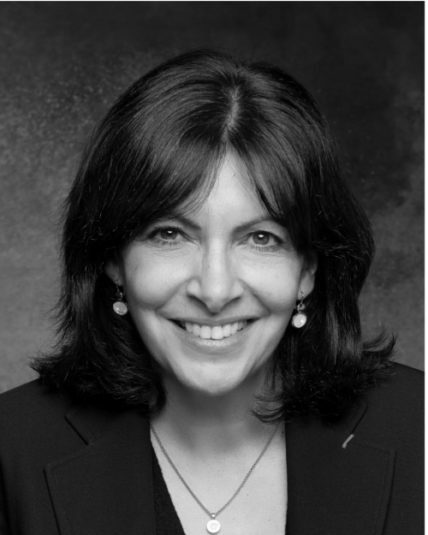 Anne Hidalgo became the first woman to be elected Mayor of Paris in April 2014. She is a former labour inspector and joined the Socialist Party in 1994. In 1997, she joined the cabinet of Martine Aubry, Minister for Employment and National Solidarity at the time. 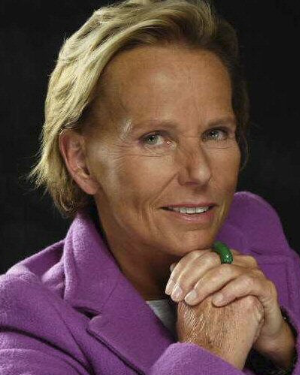 As First Deputy to Bertrand Delanoë, Mayor of Paris, for 13 years, she headed the list of the Paris Left in its successes in the regional elections of 2004 and 2010. The Mayor of Paris is currently President of the AIMF, President-elect of C40, Co-President of the UCLG and First Vice-President of the Greater Paris Metropolitan Area. 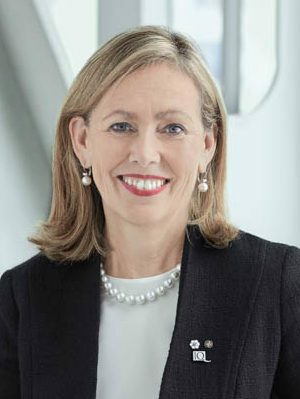 Marianne Laigneau was appointed Senior Executive Vice President Group in charge of the International Division, member of the Executive Committee, in July 2017. She was previously the Group Senior Executive Vice President Group in charge of Human Resources from December 2010 to July 2017 and Managing Director to the Human Resources from January 2010 to November 2010. She was also Corporate Secretary and Senior Executive Vice President from June 2007 to December 2009, having been General Counsel from joining the EDF Group in January 2005. 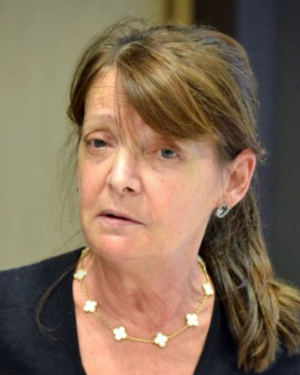 Before coming to EDF, she was Head of Institutional Affairs at Gaz de France, where she was subsequently appointed Deputy Head, Information and Public Affairs, in September 2004. Between 1995 and 1997, she held various positions within the French Administration (Legal Adviser for the Ministry for cooperation, member of electoral missions in Mozambique for the UN and in Gaza for the EU). Between 1997 and 2000, she was posted to the Ministry of Foreign Affairs and appointed First Counsellor at the French Embassy in Tunis, where she oversaw communications, negotiations and political, community and legal affairs. A graduate of the Ecole Normale Supérieure de Sèvres, the Ecole Nationale d’Administration and the Institut d’Etudes Politiques de Paris, she also holds an aggregation in Classics and a Masters Degree in French Literature. After graduating from the Ecole Nationale d’Administration, Marianne Laigneau joined the Council of State where she became Counsellor in 1995. 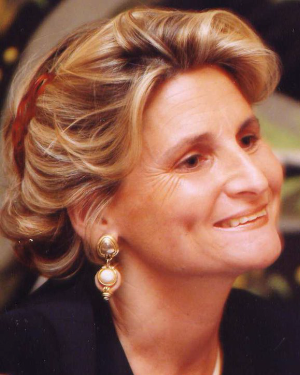 She was awarded Chevalier de l’Ordre national du Mérite in 2006 and Chevalier de la Légion d’honneur in 2010. 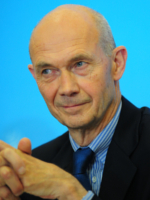 Pascal Lamy was appointed, in 2015, interministerial delegate for the preparation of the French candidature for the Universal Exhibition 2025, and in 2016 President of the French Committee of the Pacific Economic Cooperation Council (PECC) and chair of the European group of experts in charge of evaluating the impact of EU research funding. He shares his other activities between the Jacques Delors Institute (President emeritus), the presidency of the World Committee on Tourism Ethics, as well as various mandates or missions related to international affairs. He is also President of the Board of Directors of the Musiciens du Louvre (Orchestra of Marc Minkowski), member of the Board of Directors of the Fondation nationale des Sciences politiques, the Mo Ibrahim Foundation, the Thomson Reuters Founders Share Company, Transparency International France and the Center on Regulation in Europe (CERRE), special advisor of TradeMarkEastAfrica (TMEA) and of the World Trade Board, member of the Advisory Board of Transparency International, the Oxford Martin School, of UNITAID, of the Friedland Institute, of Chatham House’s group on EU-Chia partnership and affiliate Professor at HEC. 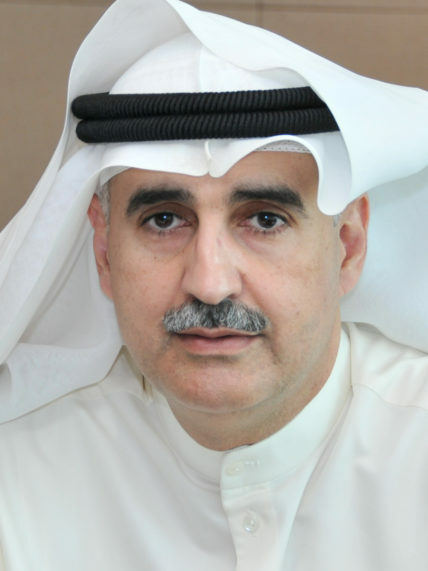 He is currently also member of the Global Future Council on regional Governance at the World Economic Forum. Pascal Lamy also lectures to the benefit of Institut Jacques Delors or other non-profit organisations on issues related to globalisation, global governance, international trade, international economics, regional integration, European and French issues. In a recent poll casted by the British magazine Prospect (April 2014), Pascal Lamy is in the top 50 of the world’s leading thinkers. He is also ranked among the 100 most influential thinkers of the “Thought leader Map 2015” published by the Gottlieb Duttweiler Institute. 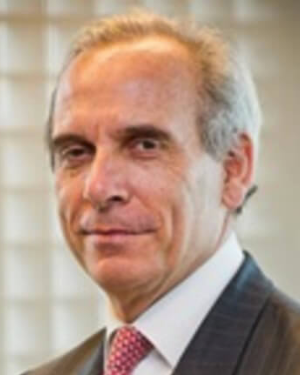 Mr. Thierry de Longuemar is responsible for the design and implementation of AIIB’s financial strategies and policies, including oversight of the Controller and Treasury departments. 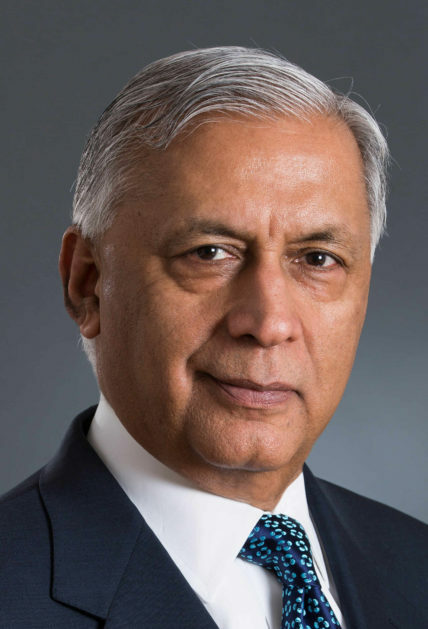 He previously served as both the Treasurer and Vice President of Finance at the Asian Development Bank and the African Development Bank. 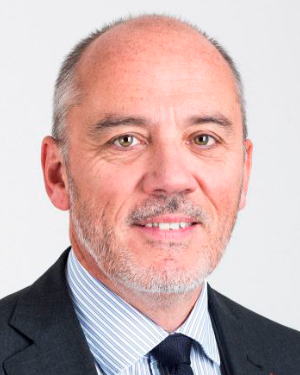 His career extends to the private sector where he worked in progressively senior roles in banking and energy, including postings at ABN AMRO, Credit Agricole, Compagnie Bancaire and TOTAL. Mr. de Longuemar graduated from l’Ecole des Sciences Economiques et Commerciales (ESSEC) in 1978. He is a national of France. 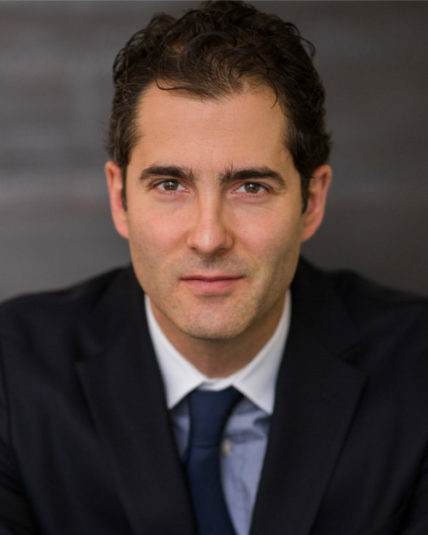 Alexandre Mars is a serial entrepreneur and engaged philanthropist. 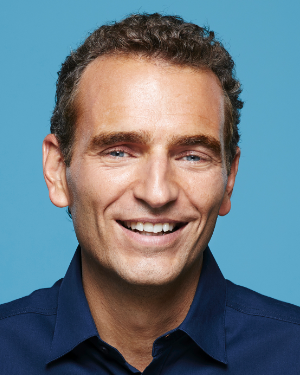 Over the past 15 years, he has launched and sold several companies in Europe and North America in a variety of industries including venture capital, internet, mobile marketing, social media and digital advertising. His last two startups, Phonevalley (the largest global mobile marketing agency) and ScrOOn (a leader in social media management system), were sold to Publicis Groupe and Blackberry. In 2014 he harnessed the momentum of his success and experience to found Epic, a nonprofit startup which brings solutions to individuals and companies to make giving the norm. 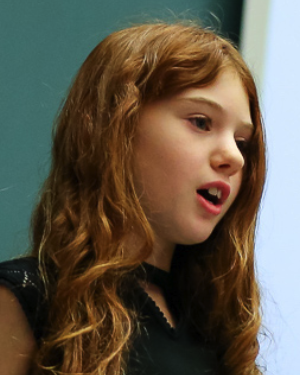 Epic promotes a strategic approach to philanthropy to financially support high-impact social organizations tackling youth and children issues globally. Epic is headquartered in New York City with offices in Bangkok, Brussels, London, Mumbai, Paris and San Francisco. 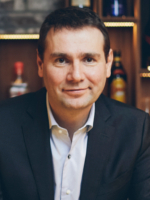 In 2014 Alexandre also founded blisce/, his family office which invests in venture capital funds and startups including Spotify, Pinterest and Blablacar. A regular contributor on BFM Business, France’s most watched business news network, Alexandre also contributes interviews of prominent movers and shakers in his Huffington Post “Doing Well by Doing Good” column, and is regularly invited to speak at a number of global forums and events including: Web Summit (Lisbon), YPO (Vancouver), SXSW (Austin) and WSJDLive (LA), where his expertise in tech innovation and leadership in philanthro - py help others better understand contemporary trends and challenges. Alexandre is a member of the Global Philanthropists Circle at Synergos, Young Presidents’ Organization and Nexus. Named in 2015 among New York’s top philanthropists under 40 by the New York Observer, he was awarded the Trophée de l’avenir Europe 1 in 2016 and was appointed chair of the Sport and Society Committee for the Paris 2024 Olympic and Paralympic Games Bid. Gérard Mestrallet is a graduate of the French engineering school, École Polytechnique, and of École Nationale d’Administration. 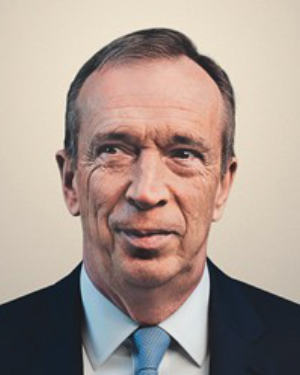 Having held various positions at the Treasury Department and on the staff of the Minister of Economy and Finance (Jacques Delors), Gérard Mestrallet joined Compagnie Financière de SUEZ in 1984. In 1986 he was appointed Senior Executive Vice-President in charge of industrial affairs. 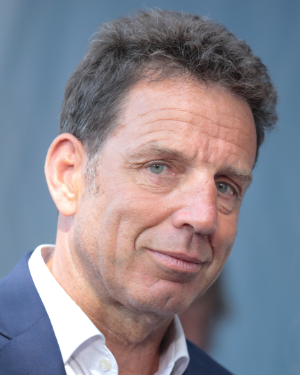 In 1991 he was named Chairman of the Management Committee of Société Générale de Belgique. In 1995, he became Chairman and Chief Executive Officer of Compagnie de SUEZ. 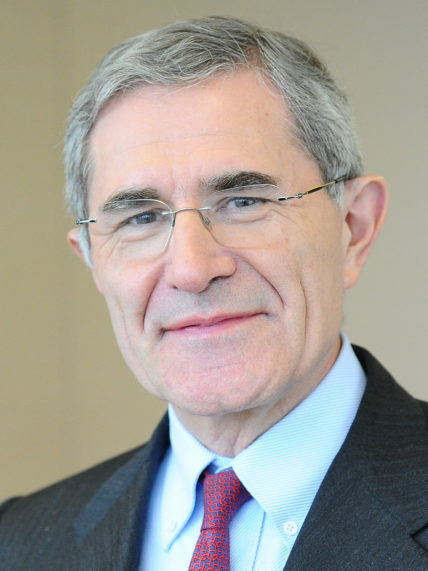 Gérard Mestrallet was appointed Chairman and Chief Executive Officer of GDF SUEZ (now ENGIE) when SUEZ merged with Gaz de France on July 2008. Since May 2016, he is Chairman of the Board of SUEZ, and since May 2018, he has also served as Honorary Chairman of ENGIE. Russel Mills is the Secretary General of Business at OECD (BIAC). Most of his career has been spent in market development, technology exploitation and global business management. He has also gained experience in consolidating acquisitions, setting up new businesses and managing Joint Venture operations. He is a physics graduate of Oxford University. Russel worked in the chemical industry and related manufacturing sectors for 4 decades. Regular job moves to the USA, UK, the Netherlands, and on several occasions to Belgium and Switzerland, coupled with global responsibilities across a wide variety of sectors, have given him the opportunity of direct on the ground experience in multiple sectors. 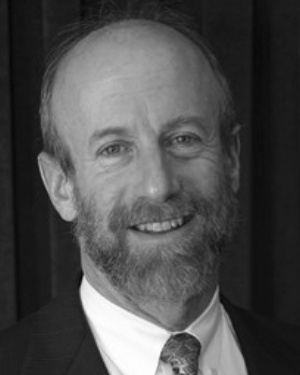 He has worked in governmental policy for over 15 years and prior to that, job assignments included the Global Business Director role for the Cargill Dow bio-polymers joint venture, a secondment to the European chemical industry association, and leading the development of technology cooperation and government Public Private Partnership strategies for Dow. Russel has been involved in multiple business – government programs and previously chaired the BIAC Environment & Energy Committee for over 5 years. 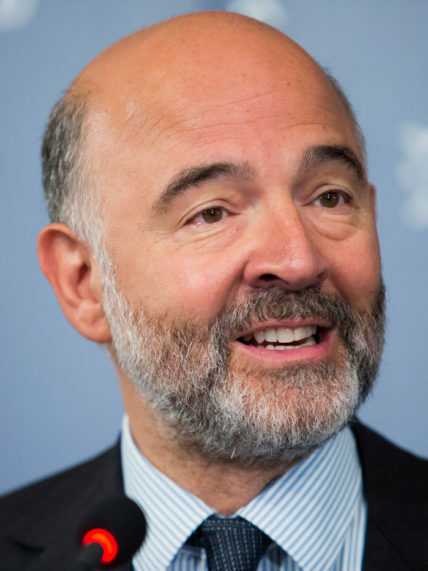 Pierre Moscovici is the Commissioner for Economic and Financial Affairs, Taxation and Customs. Before his designation, he served in the European Parliament and in the French National Assembly, mainly working on economic issues. He has been Minister for European Affairs (1997-2002) and Minister for the Economy and Finance (2012-2014) in France. 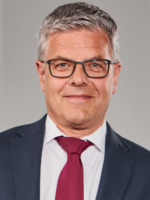 As Commissioner, he is in charge of the application of the Stability and Growth Pact, as well as ensuring the economic soundness of Commission proposals and deepening the Economic and Monetary Union to create the conditions for jobs, growth and investment, and encouraging further structural reforms. On taxation matters, Commissioner Moscovici is responsible for developing a value added tax system at EU level, improving the functioning of the internal market in both direct and indirect taxation and fighting tax fraud and tax evasion. His responsibilities also include the development and management of an efficient EU customs union. 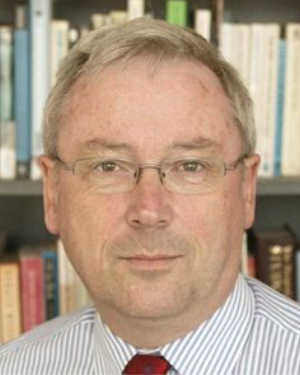 Richard Murphy was appointed as Professor of Practice in International Political Economy at City University in September 2015. 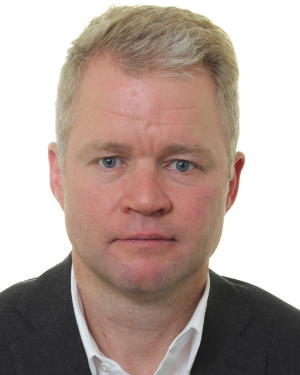 Richard is a UK chartered accountant and political economist whose main areas of research relate to taxation and its impact on local, national and international economies and the relationships within and between them. 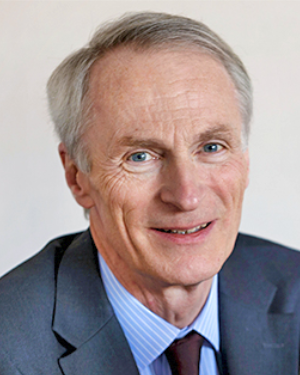 Richard was a practicing chartered accountant and corporate director for more than 20 years before becoming one of the co-founders of the Tax Justice Network. He combines his current role with directorships of Tax Research UK and the Fair Tax Mark. Richard writes a daily blog at http://www.taxresearch.org.uk/Blog/ . • ‘Tax Havens: How Globalization Really Works. Cornell Studies in Money’ jointly with Ronen Palan and Christian Chavagneux, 2010. Cornell University Press. Richard’s work has been widely used by politicians and regulators. He was the creator of the country-by-country reporting concept that became one of the OECD’s recommended bases for reporting the taxable income of multinational corporations in 2014 in an attempt to beat profit shifting and tax avoidance by those companies. In the summer of 2015 Richard was widely credited with being the author of ‘Corbynomics’, which was the economic programme on the basis of which Jeremy Corbyn became leader of the UK Labour Party. He is, however, not a member of any political party. Alain Papiasse began his career in 1973 at Crédit Lyonnais. He held various positions there, including Credit Analyst and Deputy Senior Banker, before being appointed Crédit Lyonnais Executive Vice President for the Americas in 1996. 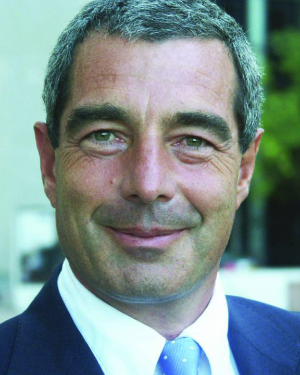 In 2002, Alain Papiasse was appointed Vice President of Crédit Lyonnais and in 2003, Vice President of Crédit Agricole Indosuez Calyon following the merger between Crédit Lyonnais and Crédit Agricole. 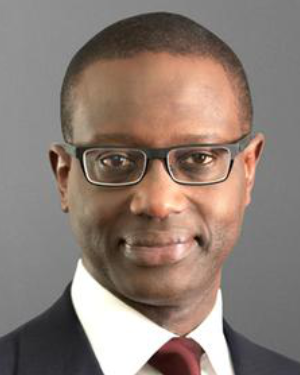 In January 2005, he joined BNP Paribas as Head of Investment Solutions, the Group’s division responsible for administering customers’ savings programmes and providing asset management. 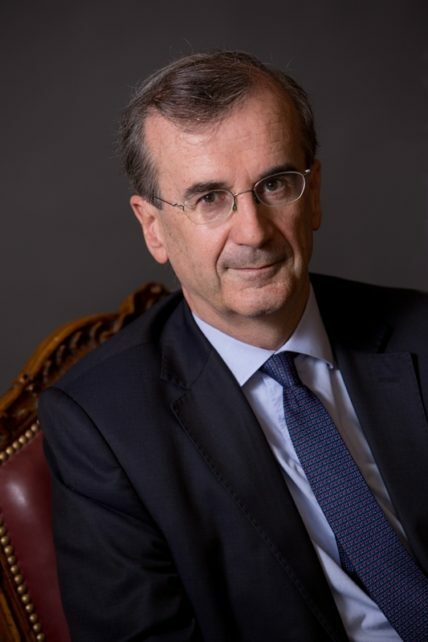 In 2005, Alain Papiasse became a member of the BNP Paribas Group Executive Committee and, in April 2009, was appointed Head of the Corporate and Investment Banking division (CIB). Later in 2009, following the merger with Fortis, Alain Papiasse took a seat on the Board of Directors of BNP Paribas Fortis. 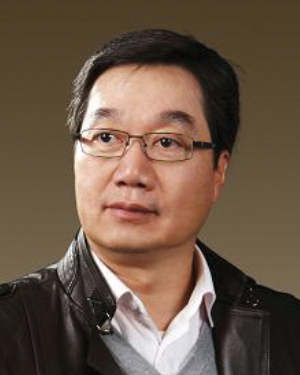 On 1 December 2011, he was appointed Deputy Chief Operating Officer and Head of the Corporate and Investment Banking division (CIB). 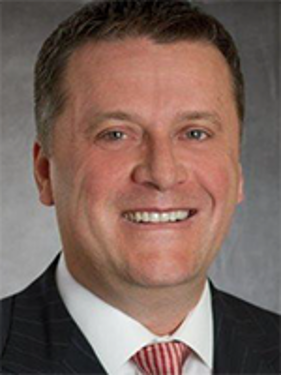 Since 2014, he has represented Group General Management in North America, while continuing to support the development of the Corporate and Institutional Banking Division. 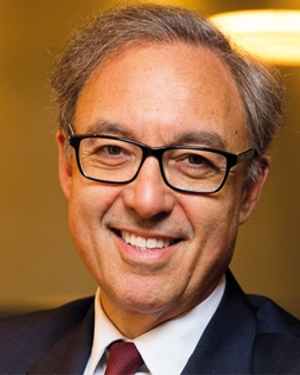 Alain Papiasse is a graduate of three French business schools : Institut Technique de Banque, Centre d’Etudes Supérieurs de Banque (CESB) and Centre de Perfectionnement aux Affaires (CPA). 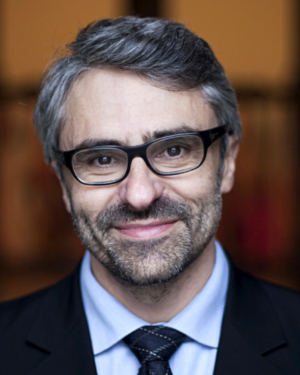 Franck Petitgas is Head of International at Morgan Stanley. He overseas all the Firm’s business outside of the USA. He sits on the Firm's Operating and Management Committees. 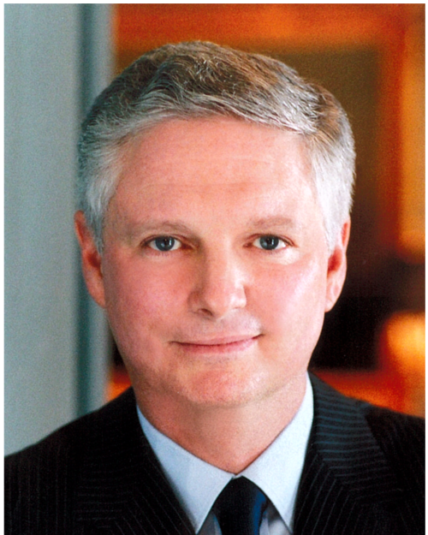 He started at S.G. Warburg & Co Ltd in 1986 and joined Morgan Stanley in 1993 in New York. He was made Managing Director in 1996. He is a Chairman of the Tate Museum Foundation and a Trustee of Glyndebourne Opera House. He is a Chevalier de l'Ordre National de la Légion d'Honneur of France. 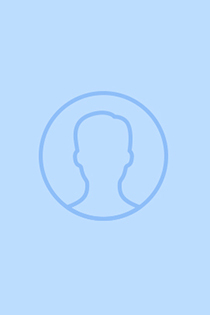 ▪ Managing Director of Frankfurt Main Finance e.V. 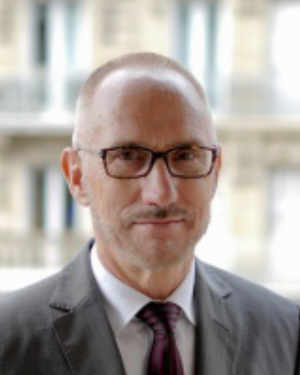 Bernard Spitz is the President of the French Insurance Federation (FFA) which gathers the French Federation of Insurance Companies (FFSA) and the Association of Mutual Insurance Companies (GEMA) since 8 July 2016. Mr Spitz was the chairman of FFSA since 2008. He also chairs the Club des Juristes Commission on Cyber Risks launched in September 2016. A Board member of MEDEF, the French employer’s organization, Bernard Spitz has chaired International and Europe since July 2013. In charge by MEDEF of the Social Agenda of the B20, the international business leaders and employers summit which coincided with the G20 held under French Presidency at Cannes in 2011, Mr Spitz coordinated the ever first joint declaration of employers and workers represented by the B20 and the L20, the international Unions summit. He remains an active member of the B20 representing France and working on the Task Forces related to employment and the financing of growth. Bernard Spitz is a graduate of the Institut d’Etudes Politiques de Paris and the École supérieure des Sciences Economiques et Commerciales (ESSEC), as well as of École nationale d’administration (ENA) from 1984 to 1986. He was an adviser to Prime Minister Michel Rocard from 1988 to 1991 ; a Maître des Requêtes at the Council of State ; and an executive Director at the head of Canal+ from 1992 to 1996. From 2000 to 2004, he was Chief Strategy Officer of Vivendi Universal. 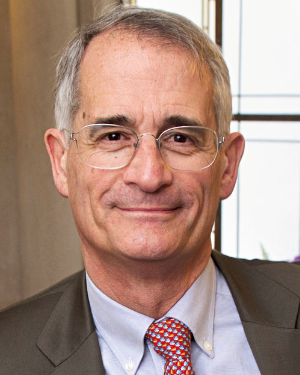 Bernard Spitz has served as a rapporteur to the French Competition Council, a member of the French Economic and Social Council and of the Security Council. He has overseen a number of public reports and efforts, among which President of the Diversity In Media Committee (2010); Coordinator of the Estates General of the Print Media, commissioned by President Nicolas Sarkozy (2009); and in charge of the 50th anniversary celebrations of the Universal Declaration of Human Rights for Prime Minister Lionel Jospin (1998). 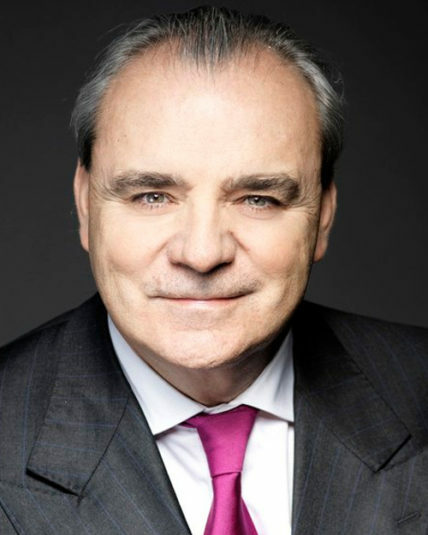 Bernard Spitz is a member of the boards of Air France and Ecole Alsacienne (Paris), the President of think tank Les Gracques and the Vice-President of the association Michelrocard.org. He also sits on the Policy Board of the Aspen Institute (France), and is a member of several leading European think tanks, including Astrid (Italy), The Lisbon Council (Belgium) and En temps Réel (France). He wrote several books on how to reform the State, including Notre Etat (In Our State), with Roger Fauroux, published by Robert Laffont in 2001; C’est possible ! Voici comment... (It’s possible : Here’s How), with Michel Pébereau, published by Robert Laffont in 2007 ; Le Papy Krach (The Grandfather Krach), published by Grasset in 2006 and On achève bien les jeunes (Our children betrayed) published by Grasset in 2015. 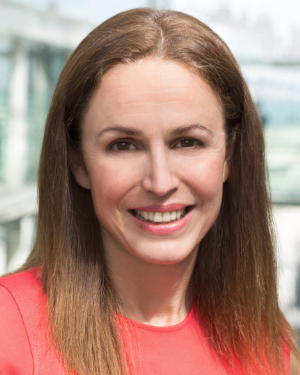 Serpil Timuray is the Group Chief Commercial Operations and Strategy Officer and a member of the Executive Committee of Vodafone Group. Prior to this, she was the Regional CEO of AMAP (Africa, Middle East, Asia, Pacific) and a member of the Executive Committee of Vodafone Group during 2014-2016. Timuray joined Vodafone in 2009 as the CEO of Turkey. 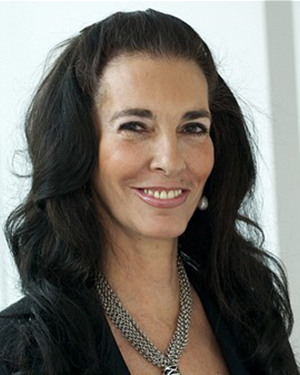 Previously, she was the CEO of Danone Turkey during 2002-2008. She began her career in 1991 at Procter & Gamble, where she held several marketing roles and was subsequently appointed to the Executive Committee of P&G Turkey. 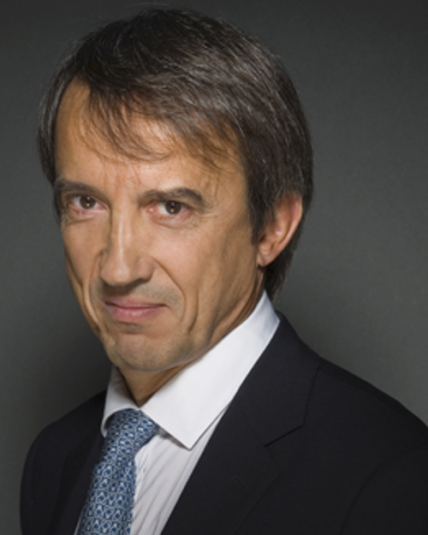 Timuray is an independent non-executive director in the board of the Danone Group. She is the Chairperson of Vodafone Turkey. She has been a board member of the listed companies of Vodacom Group, Safaricom Kenya, Vodafone Qatar, and a board member of Vodafone India, Vodafone Hutchison Australia and Vodafone Egypt. 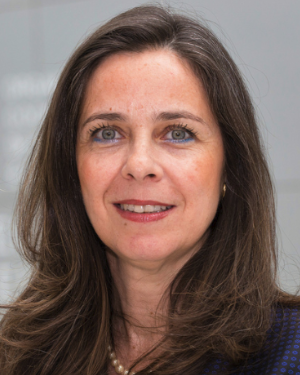 Timuray sits in the board of GSMA (Global Mobile Telecommunications Association) and chairs the Public Policy Committee. She is a member of the YGL (Young Global Leader) Alumni and a member of Global 50. She has served as the Chairperson of YASED (Foreign Investors Association Turkey), the Vice-Chairperson of DEIK-TIIK (Turkish British Business Council), the Vice-Chairperson of SETBIR (Union of Dairy, Beef, Food Producers) and Co-Chair of ECR Turkey. Timuray was ranked 27th in Fortune’s “Most Powerful Women International” in 2017 and 79th in Newsweek’s “World’s 125 Women of Impact” in 2013. She was awarded as “The Global Turkish Professional of the Year” in 2018 and “The Professional of The Year” in Turkey three times during 2010-2013. She was nominated as a “Young Global Leader” by World Economic Forum in 2009. Gregory J. Smith Gregory Smith is President and Chief Executive Officer of InstarAGF, and is widely recognized as a pioneer and authority in the infrastructure investment community, bringing more than 20 years of experience in the investment, operation, acquisition, and financing of public and private infrastructure, real estate, power, and utility businesses. 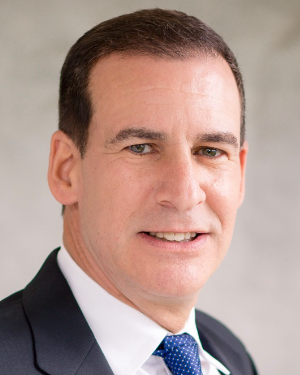 Prior to founding the Instar Group of companies, Mr. Smith served as Managing Partner and head of Brookfield Financial’s Global Infrastructure Advisory Group; President of Macquarie Capital Funds Canada Ltd.; Managing Director and Co-Head of RBC Capital Partners–Mezzanine Fund; and Managing Director at Deloitte & Touche Corporate Finance. Mr. Smith is currently the Executive Chairman of Nieuport Aviation Infrastructure Partners, which owns the passenger terminal at Billy Bishop Toronto City Airport and sits on the advisory boards of Lighthouse Equity Partners, a private equity provider, and Avrio Ventures, an agriculture technology fund. 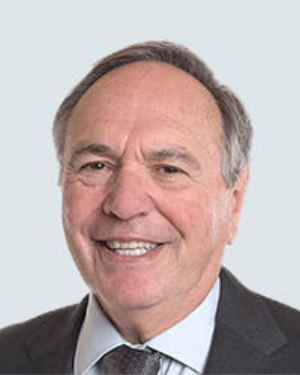 Active in the private equity and venture capital sector since 1994, Mr. Smith served for a number of years on the Board of Directors of Canada’s Venture Capital and Private Equity Association, including as Chair and President. He is a Chartered Accountant and a Chartered Business Valuator. Robert Tessier has an extensive background as a corporate director and senior executive in both the private and the public sector. 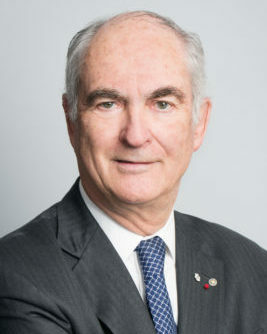 Before being appointed Chairman of the Board of CDPQ, he worked with Gaz Métro, first as President and Chief Executive Officer as well as Chairman of the Board. His past positions have included President and Chief Executive Officer of Marine Industries Limited and Alstom Canada. In the public sector, he spent several years as a senior civil servant with the Gouvernement du Québec in such roles as Secretary of the Conseil du trésor, Québec’s Deputy Minister of Energy and Natural Resources and Executive Vice President of the Société générale de financement du Québec. 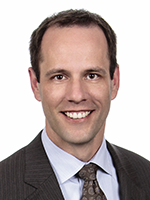 Mr. Tessier is Chair of the Investors Group Funds Independent Review Committee. 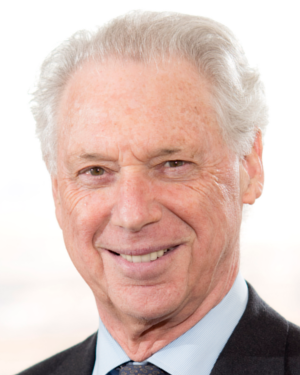 He is also Chairman of the Board of Green Mountain Power and of the Institute for Research in Immunology and Cancer (IRIC) of the Université de Montréal, and sits on the board of the Institute of Corporate Directors – Quebec Chapter. He has sat on several boards, including those of CGI Group, AXA Canada, Centraide of Greater Montréal, the Conseil du patronat du Québec, the Conference Board of Canada, the Foundation of Greater Montreal and the Montreal Heart Institute. 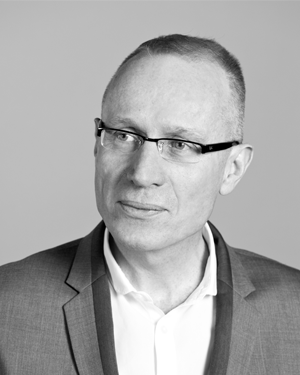 Robert Thomson is chief executive officer of News Corporation. News Corp, headquartered in New York, has global operations across a range of media, including: news and information services, digital real estate services, book publishing, sports programming and pay-TV distribution. Mr. Thomson assumed his current role in January 2013, having served as editor-in-chief of Dow Jones & Company and managing editor of The Wall Street Journal from May 2008. He directed the global news operations of the print and digital Journal and Dow Jones Newswires, with an international news staff of over 2,000 journalists in more than 80 bureaus worldwide. Mr. Thomson’s editorial leadership and Dow Jones’ commitment to quality journalism fueled growth and innovation, with The Wall Street Journal becoming the largest circulation newspaper in the U.S. The Journal expanded its content and added a host of sections to complement its core of unrivalled business and finance coverage. The company’s expansion across content was complemented by a growth across geographies and devices, with numerous digital content and video offerings and local-language Web sites in Europe and Asia, reaching tens of millions of users worldwide. Before joining Dow Jones in December 2007, Mr. Thomson was editor of The Times of London where he presided over a significant expansion of its readership in print and on the Web – the audience of the Times Online grew from less than 1 million monthly to almost 13 million during his editorship. Prior to that, he was editor of the U.S. edition of the Financial Times taking prime editorial responsibility for the FT Group’s ambitious drive into the U.S. market, where the newspaper trebled its sales to almost 150,000. 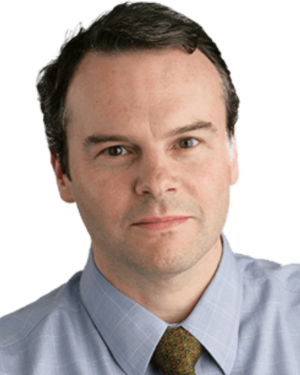 For his work in building the FT’s operations, in print and online, he was named as U.S. Business Journalist of the Year in 2001 by the influential trade journal TJFR. Mr. Thomson had been editor of the Weekend FT and assistant editor of the Financial Times, orchestrating a successful redesign of the Weekend FT in late 1996 – that edition became the fastest-growing newspaper in the U.K. market during 1997. He also oversaw the evolution of “How to Spend It” magazine into an award-winning monthly. From 1994 to 1996, he was the FT’s foreign news editor in London, leading the paper’s extensive network of correspondents. Mr. Thomson had been a correspondent himself in Tokyo (1989-1994), where he witnessed the rise and fall of the “bubble economy,” and in Beijing (1985-1989), where he reported on the country’s economic and social reforms, and the crushing of the democracy movement in Tiananmen Square. Mr. Thomson has been a journalist since early 1979, when he joined The Herald in Melbourne, working as a copyboy and a finance and general affairs reporter before becoming the paper’s Sydney correspondent. In 1983, he was hired by the Sydney Morning Herald as a senior feature writer and, two years later, was appointed to a Beijing bureau then shared by the Sydney paper and the Financial Times. He is the author of The Judges: A Portrait of the Australian Judiciary (Allen & Unwin) and co-author of The Chinese Army (Weldon Owen). He edited a collection of satirical writing titled True Fiction (Penguin Books). Mr. Thomson was born in Torrumbarry, near Echuca, in southern Australia, and is married with two sons. 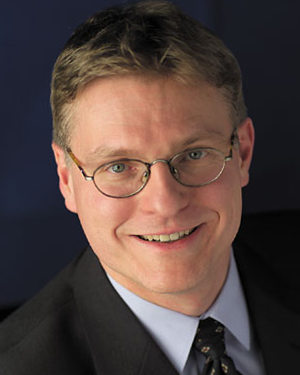 Bruce Stokes is director of global economic attitudes at Pew Research Center, where he assesses public views about economic conditions, foreign policy and values. 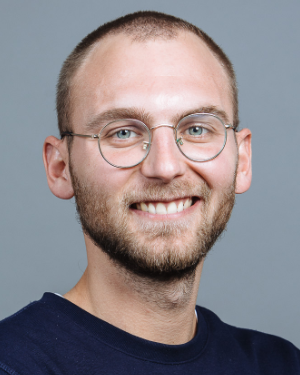 He is also a non-resident fellow at the German Marshall Fund and an associate fellow at Chatham House. 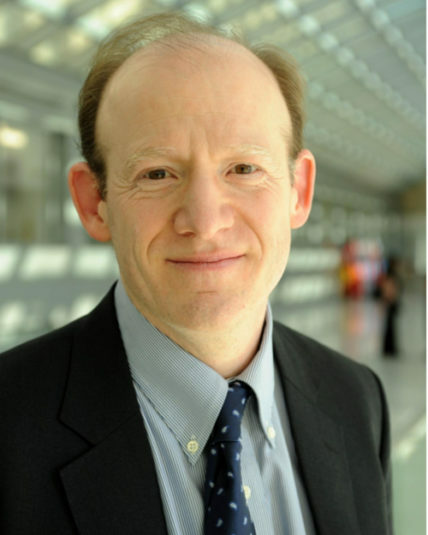 He is the former international economics correspondent for the National Journal, a former senior transatlantic fellow at the German Marshall Fund and a former senior fellow at the Council on Foreign Relations, where he is a member. Stokes is author of the recent Pew Research Center studies: U.S. Image Suffers as Publics Around the World Question Trump’s Leadership; Post Brexit, Europeans More Favorable Toward EU; Globally, Broad Support for Representative and Direct Democracy; Japanese Divided on Democracy’s Success at Home, but Value Voice of the People; Three Years In, Modi Remains Very Popular. 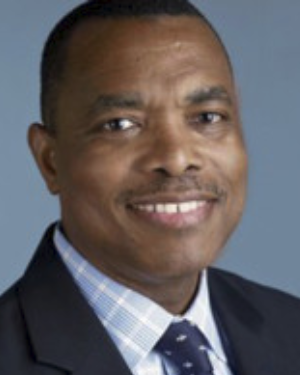 Stokes is a graduate of Georgetown University’s School of Foreign Service and Johns Hopkins University’s School for Advanced International Studies. He has appeared on numerous television and radio programs including CNN, BBC, NPR, NBC, CBS and ABC and is a frequent speaker at major conferences around the world. Philippe Sauquet began his career in 1981 as a civil engineer at the French Ministry of Infrastructure. He subsequently worked at the French Ministry of the Economy and Finance. He joined chemical company Orkem in 1988 as Vice President, Strategy before being appointed Senior Vice President, Acrylics Sales & Marketing. He moved to Total in 1990 as Vice President, Anti-Corrosion Paints and was subsequently named Vice President, Chemicals Strategy. 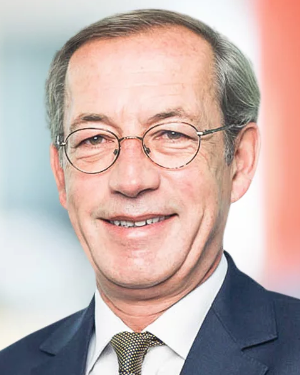 In 1997, Mr. Sauquet transferred to the Gas & Power Division, where he was successively Vice President, Americas; Vice President, International; Senior Vice President, Strategy & Renewables; Senior Vice President, Trading & Marketing, Gas & Power, based in London. He was appointed President of Gas & Power on July 1, 2012. He also sits on the Group Management Committee. Born in 1957, Philippe Sauquet is a graduate of France’s Ecole Polytechnique and Ecole Nationale des Ponts et Chaussées engineering schools and of the University of California, Berkeley in the United States. Jean-Dominique Senard graduated from France’s HEC business school (Hautes Etudes Commerciales). He also holds a Master’s Degree in Law. He began his career in various financial and operations positions with Total, from 1979 to 1987, and then with Saint-Gobain from 1987 to 1996. From 1996 to 2001, he was Chief Financial Officer of Pechiney and a member of its Group Executive Council. He was also head of Pechiney’s Primary Aluminum sector until 2004. As a member of Alcan’s Executive Committee, he was in charge of integrating Pechiney and served as Chairman of Pechiney SA. 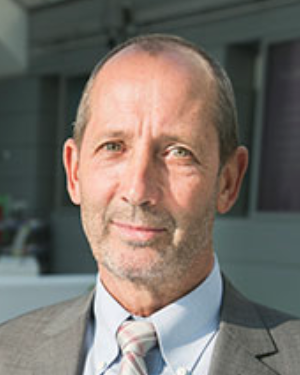 Jean-Dominique Senard joined Michelin in March 2005 as Chief Financial Officer and a member of the Michelin Group Executive Council. In May 2007, he was appointed Managing Partner of the Michelin Group. During the Group’s 2011 Annual Meeting of Shareholders on May 13, 2011, Jean-Dominique Senard was appointed Managing General Partner of the Michelin Group alongside Michel Rollier. 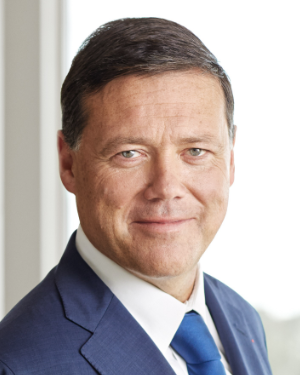 Jean-Dominique Senard is CEO of the Michelin Group since May 2012. He supervises the Executive Committee and the Legal and Digital Activities Corporate Directions. 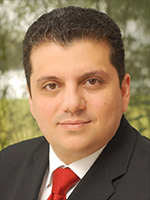 Mr. Saint-Amans graduated from the National School of Administration (ENA) in 1996, and was an official in the French Ministry for Finance for nearly a decade. He held various positions within the Treasury, including heading the supervision of the EU work on direct taxes and overseeing legislation and policy on wealth tax and mergers and spin offs. He was also the head of tax treaty negotiations and mutual agreement procedures. In this capacity, he participated in the OECD Working Party No. 1 of the Committee on Fiscal Affairs as the delegate for France before being elected Chair of WP1 in 2005. He was also a member of the UN Group of Experts on International Co-operation in Tax Matters, becoming a “rapporteur” in 2006. Before leaving government service, he was Deputy Director in charge of litigation at the Direction Générale des Impôts. 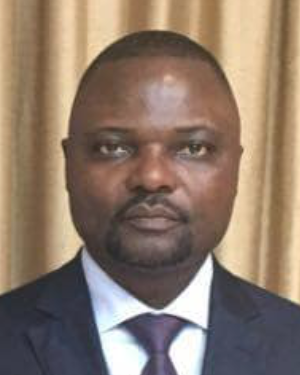 Mr. Saint-Amans also served as Financial Director of the Energy Regulation Committee between 1999 and 2002 and was responsible for the introduction of new electricity tariffs. Having earned a degree in history, Mr. Saint-Amans also received a degree from the Institut d’études politiques of Paris. Jay Rosengard, Adjunct Lecturer in Public Policy at the Harvard Kennedy School, has forty years of international experience designing, implementing, and evaluating development policies in public finance and fiscal strategy, tax and budget reform, municipal finance and management, intergovernmental fiscal relations, banking and financial institutions development, financial inclusion, micro, small, and medium enterprise (MSME) finance, mobile banking, and public administration. He has worked for a wide variety of multilateral and bilateral donors, as well as directly for host governments and private sector clients. Rosengard is Director of the Mossavar-Rahmani Center for Business and Government's Financial Sector Program, which focuses on the development of bank and nonbank financial institutions and alternative financing instruments. This includes microfinance (small-scale lending and local savings mobilization), mainstream commercial banking (general and special-purpose banks), and wholesale financial intermediation (municipal development funds, venture capital funds, pooled financing, secondary mortgage facilities, and securitization). In addition, Rosengard is a Faculty Affiliate of both the Ash Center for Democratic Governance and Innovation and the Center for International Development. At the Ash Center, he is Senor Adviser of the Rajawali Foundation Institute for Asia and Faculty Chair of the HKS Indonesia Program. He also serves as Faculty Chair of four executive programs: FIPED (Financial Institutions for Private Enterprise Development), which focuses on sustainable and effective MSME finance; ComTax (Comparative Tax Policy and Administration), which addresses key strategic and tactical issues in tax design and implementation; VELP (Vietnam Executive Leadership Program), which is an innovative policy dialogue with senior Vietnamese leadership; and Transformasi (Leadership Transformation in Indonesia), which is designed to assist Indonesia in its decentralization initiatives.